A night celebrating women in music by bringing the finest crop of rising female music artists to the forefront. Back by popular demand MIRI and RoseRed bring you the seventh installment of artists who are currently making waves in the London music scene. Expect an captivating musical feast of Indie folk pop, Americana, toe tapping alt-Country, and heart-filled vocals to whet your appetite and stir your soul. NB: Doors open 5.30pm, Music starts: 6.30pm. Sophia Marshall burst onto the UK Americana scene as one-half of highly acclaimed band The HaveNots (Cooking Vinyl Records), earning praise alongside as an accomplished female singer-songwriter within the alt-country music scene. Since the launch of her solo career in 2015, Leicestershire’s Sophia Marshall has continued to develop and hone her own musical voice, showcasing her individuality alongside fond influences worn proudly on her sleeve, but always presented with sincerity and sometimes painful honesty. Sophia’s gloriously sad ballads and strong sultry vocal performances reach out across genres to break any listener’s heart, whilst her more upbeat numbers will put smiles on faces and set toes tapping. She has even been known to reinterpret the occasional old HaveNots song, when performing with her new indie-folk / indie-pop full band line up. Anglo-Dutch singer and songwriter Gitta de Ridder sings things as they are. The simplicity of her song-writing leaving the space for her heart-filled vocals to purvey the words in their purest form. Inspired by modern folk artists such as Anais Mitchell and Iron & Wine she has been playing and releasing her songs since late 2014 which led to appearances on Dutch national TV and Radio and support from BBC introducing and several local stations in the UK. An engaging lady who has the ability to mesmerise and draw an audience into the magical world of her songs. A world full of feeling, warmth, kindness, honesty, joy and sadness. Her folk­pop songs with beautifully poetic but also conversational lyrics go straight to the heart and are performed on a bed of warm finger-­picked guitar topped by a voice full of character and emotion. The album was supported by extensive touring, festival appearances and opening stages for some favourite artists including Sharon Van Etten, The National, Midlake, Phosphorescent and Fleet Foxes. After taking a step back to form a new band, consisting mainly of women, to help establish a new vocal-heavy sound, Lyla is now preparing to release a new record, which she has been working on with Oli Deakin (Lowpines) and Patrick Wimberly (Chairlift/Solange/Das Rasist). RoseRed And The Butterflies, aka Lydia Nicolaides is a prolific singer/songwriter from north London Enfield. She pens catchy lyrics and silver tongued melodies that tell stories in a refreshing and original way. With a mixture of realism, fun, quirkiness and sadness, RoseRed’s music can move effortlessly from lightness into dark, and her style crosses a variety of genres, from Folk to Rock; from Country to Reggae. ‘Imagine Mary Poppins on acid’ playing the guitar and dancing like a pixie. RoseRed released her eagerly awaited debut album ‘Just A Glimmer’ in 2010 an album which she wrote, recorded, produced and funded herself, in-between several years of playing the London gig circuit and which got voted and won the Fatea Magazine debut album of the year 2010 Award. She has had two of her songs feature in two British Independent Films ‘Jesus Versus The Messiah’ and ‘Chinese Burns’. She has just released her second album New Age Drifter. Described as the love child of Sting and Edith Piaf; British singer-songwriter MIRI blends heart and grit, distilled through a smooth, melodic pop filter. MIRI’s distinctive soft, smoky and gritty tones with thought provoking heartfelt lyrics present pop songs that speak fluent indie. ‘Electric Vibes’ was played on BBC 6 Music and Radio DIVA whilst ‘The Plight’ was played by John Kennedy on Radio X. “Under My Skin” with rapper Cheekie Bugga received a special spin on Tom Robinson’s Saturday BBC 6 Music evening show. 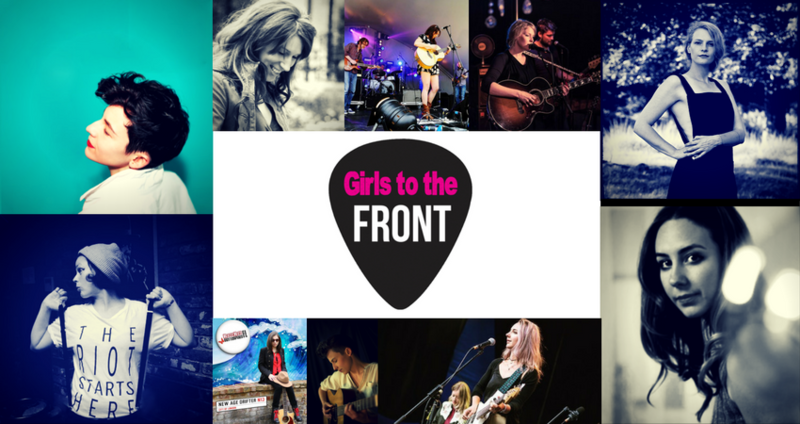 MIRI co-promotes and co-hosts live music events “Blue Monday” at The Boogaloo in London now in its 7th year and collaborating with award winning music venue Green Note on sold out female artist focused events called “Girls To The Front”. Performing regularly around the UK & Europe MIRI has gained a reputation for her eclectic gigs and stage presence. Past performances include 100 Club for The Official Bob Marley Birthday Celebration, Safe Gigs For Women and Bush Hall supporting Laura Veirs. Her European travels have led her to perform in Barcelona, Amsterdam, Rotterdam and Berlin.